I spend most of my weekends (well… all week really) wishing I was in Disneyland. This weekend I acted on it and spent most of my Sunday working on this piece to celebrate the 50th anniversary of the original Pirates of the Caribbean ride at Disneyland, California. 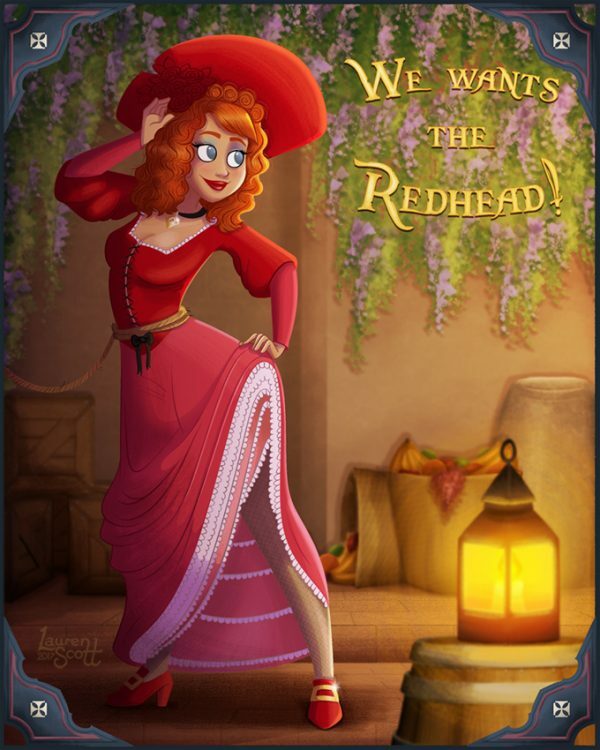 It features one of the more famous townspeople; the redhead who is auctioned off for a wife as her admirers shout ‘we wants the redhead!’. Prints and phone cases of this illustration are now available on my Society6 shop.